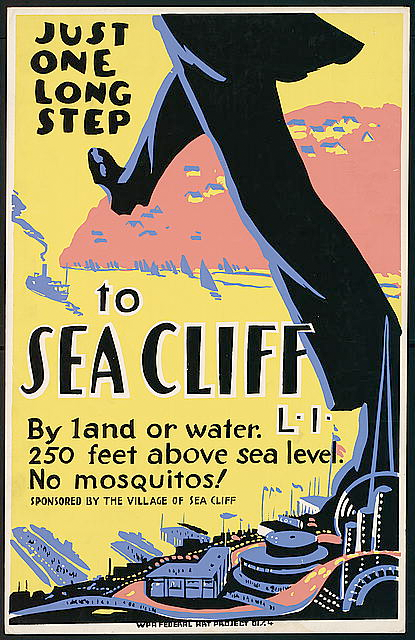 I chose the image at the top of this post out of many available free-of-charge at the Library of Congress’s WPA-poster archive mostly because of its cliff theme (this poster happens to depict a place in the state of New York, perhaps a few hours’ drive from the Institute). But we also hope the image will offer readers some hope—as the WPA did for unemployed artists and others during the 1930s. The White House and many in Congress are working on legislation that may lessen the severity of next year’s fiscal crunch. These important proposals will mostly aim to delay or cancel scheduled changes to spending programs and the tax code. To really tackle the unemployment problem, however, Washington ought to consider a large-scale public-employment program a bit like the WPA. As the website for our employment policy and labor markets research program points out, “Levy Institute scholars have proposed a full-employment, or job opportunity, program that would employ all who are willing to work and increase flexibility between economic sectors…” You might want to take a look at some of the many publications at that website that deal with the potential design and impact of full-employment, direct job creation programs. I am sure the staff at John Conyer’s office would appreciate your input. H.R. 870, or another direct job creation bill, would be useful and timely legislation indeed. A second recent and promising Congressional jobs-creation proposal is “The Emergency Jobs to Restore the American Dream Act.” (I have not had a chance to look in detail at either proposal, which I certainly regret. )Thank you for your advice and for the pointer.